The lack of diversity in British business is a pressing issue. And one that’s taken up thousands of column inches, sparked debate on social media, been a theme for many a start-up event and a focus of government research. 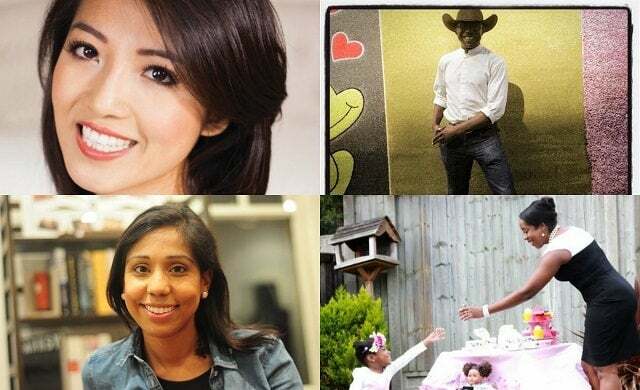 A study from The Department for Business, Energy and Industrial Strategy (DBEIS) found that just 5% of the UK’s small and medium-sized businesses are ethnic minority-led. And it’s not just black tech founders that need support, the BAME community – and support for BAME founders – have been under the radar. At the start of 2018, London Mayor Sadiq Khan launched a £7m initiative to help get more young people from diverse backgrounds into the capital’s technology sector, while over 20% of its £400m in lending has been given to BAME entrepreneurs to date, equating to 11,000 people. And BAME entrepreneurs are making waves in a cross-sector of industries; from food and beverage to recruitment and retail – start-up stories that should be shared and celebrated. You might recognise Susie Ma from her appearance on The BBC’s The Apprentice in 2011 when she was just 21 years-old. Ma made it to the final four and, despite losing out to inventor Tom Pellereau, impressed Lord Sugar so much that he went into business with her after the show, becoming a 50/50 partner. The business he has partnered with her on? Tropic Skincare. Having grown up in Australia, Ma was inspired by the tropical plants native to Cairns to start the natural skincare brand and today Tropic Skincare operates as a social selling platform, giving people the means to start their own beauty business and earn their own salary. Now, aged 29 and recognised among Forbes’ elite 30 under 30, Ma’ has scaled Tropic Skincare to achieve multi-million-pound turnover with the business having paid out £15m in commissions to over 8,000 ambassadors. It’s also been recognised by a host of organisations including The Sunday Times Fast track 2016 and the Startups Awards. A young entrepreneur who’s stuck true to her vision and seen it blossom into a hugely successful venture, helping others in the process, Ma serves as inspiration to entrepreneurs from all walks of life. Abakare worked as a senior trader at Tradelink Worldwide alternative instruments investment firm for six years before deciding to dip his toes in the business world. His first venture, co-founded with Jack Beaman is Syft – which came seventh in this year’s Startups 100. Syft is a recruitment staffing solution helping employers in hospitality and events find highly-trained and thoroughly vetted staff. The start-up is striving to create a platform with worker welfare at its core, giving them the chance to take control of their employment in an environment that can often treat them like a commodity. The punchy start-up has raised £8.75m to date and managed to secure backing from world champion boxer David Haye. Clients include Gordon Ramsay’s chain, SMART Group and Dish. On a mission to raise wages for workers across the UK and grow worldwide whilst staying true to its core beliefs of fair employment, Syft also has plans to start a charity aimed at getting the homeless back into work. It was while on maternity leave to have her second child that Chika Russell decided she never wanted to work for anyone else again. Inspired by her West African roots and a love of cooking, Russell launched Startups 100-featured Chika’s in 2014, a range of gluten-free snack foods including flavoured nuts, and chickpea and plantain crisps. Russell spent a year sourcing ingredients and refining recipes before she decided she was ready to bring her creations to the world. Then, in 2015, the brand got a major boost after an appearance on Dragons’ Den saw Russell land offers from all five Dragons. Whilst she initially accepted Peter Jones’ offer of £30,000 for 25%, Russell decided to reject the deal and go it alone. Now projecting £10m turnover for 2019 and rolling out new products in 1,200 Sainsbury’s stores nationwide, Russell shows it’s possible to juggle full-time motherhood and a world-class business. The much-deserving winner of The Start Up Loans Start-up of the Year 2017, Bulb is the renewable energy start-up taking on the hegemony of the Big Six – co-founded by BAME entrepreneur Amit Gudka. After graduating from the University of Cambridge with a degree in mathematics, Gudka spent eight years trading European gas and electricity for Barclays. It was here that he first learnt about the ins and outs of the energy industry and realised it was ripe for disruption. in 2015, Gudka and co-founder Hayden Wood founded Bulb, offering 100% renewable electricity and 10% green gas to customers across the UK. The start-up now claims to be the fastest growing energy supplier in the UK with more than 450,000 customers. Bulb is also the only supplier in the country to be an accredited B Corp, meaning it meets “rigorous standards of social and environmental performance, accountability, and transparency”. 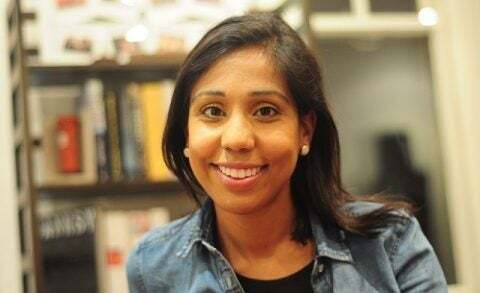 After 10 years working in the healthcare sector, Tamara Rajah noticed that, whilst cancer patients were receiving excellent care, there was no obvious place for them to go buy non-medical products that would help them improve their quality of life. And so, she founded Live Better With. A one stop shop for everything from skin creams to pain and fatigue treatment, Live Better With acts an online marketplace to help those with cancer and women going through the menopause. The site, which came in at 19 in this year’s Startups 100 index, has attracted tens of thousands of customers since launch and recently opened a retail store in Guy’s and St Thomas’ Hospital in London. It’s not surprising that the business has done so well: Rajah already has three previous ventures and was named in Management Today’s UK’s 35 Women Under 35 and Wharton’s 2017 40 under 40. More recently, Rajah was featured as one of London Tech Week’s 2018 changemakers. Rajah is also a founding board member of Sherry Coutu and Reid Hoffman’s Scale-Up Institute. A true inspiration for budding BAME business owners: Rajah is a serial entrepreneur with a mindboggling resume and a business that helps bring comfort and relief to those who need it most. Michaela Alexander found inspiration in her two children for her eponymous business Miles and Mia. Miles & Mia is a children’s book series which seeks to fill a gap in the market for books featuring characters of ethnic minority. Alexander started the company after noticing a dearth of ethnically diverse children’s books in the UK. She ordered books in from the US and found that her children really enjoyed them as they were so different to the ones that they’d read in nursery and school as illustrations looked like them. Now, instead of ordering books from the US, Alexander is the one shipping books over the Atlantic. Backed by a loan from The Start Up Loans Company, Miles & Mia launched in 2016 and has received endorsement from TV personality Katie Piper and rapper Giggs while Precious; the magazine for women in colour, has described Alexander as a “mover and shaker of the industry”. Buoyed by this early success, eventually Alexander hopes to create a whole Miles and Mia brand with clothes and accessories, and even dolls based on the books characters. 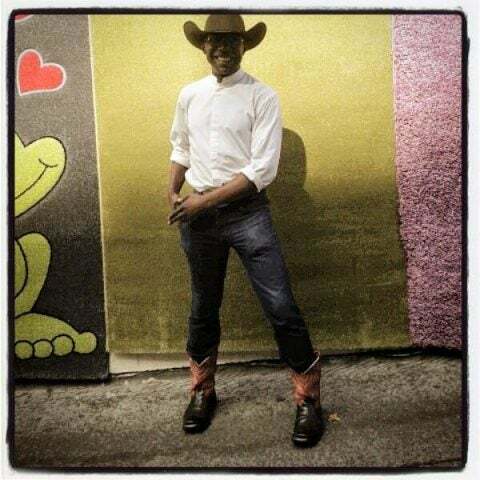 John Otagburuagu was obsessed with cowboys growing up, recognising the role of Afro-Americans to the legend of the cowboy. After moving to London with no job and no home, Otagburuagu discovered the Start Up Loan scheme at his local job centre and decided to submit an application to start his own business. Otagburuagu had experience in the service industry, loved good coffee and had discovered the dense, rich, sweet, chewy joy of Liege waffles whilst travelling round Belgium and Europe with friends. With his Start Up Loan application successful, he decided to start a street café business and there was only one name for it: Black Cowboy Coffee and Waffles. As the name suggests, the cowboy-themed business – which operates from a converted horse box – serves coffee and waffles, as well as smoothies and other food to go. Located in Elephant and Castle, Otagburuagu’s café attracts a steady stream of customers, and has earnt a roster of compelling testimonials; Buzzfeed has named it one of the top 10 places to eat in the area. A professional actress, writer, choreographer, director, and entrepreneur; Ann Akin is the founder of HARTS Theatre Company. A social enterprise which uses performing arts to engage young people and encourage them to create social change using their voices. As well as credits on Law and Order UK (ITV), EastEnders (BBC1), Humans (C4), The Javone Prince Show (BBC2), The Delivery Man (ITV) and The Unforgotten (ITV), Akin’s first production, Conversations with Love, won Best Theatre Production and Best Writer at the 2011 BEFFTA awards. Now she wants to bring the skills she’s learnt on the stage and on set to the next generation. Akin’s business runs after school drama classes for four to 19-year olds, which use games, team building exercises and confidence boosting tasks. A key focus of HARTS Theatre Company is mental health. The start-up runs mental health awareness classes for young people to educate them on mental health issues. Akin has also launched two festivals, including one that offers support to emerging writers, giving and another that encourages young people to talk about mental health. 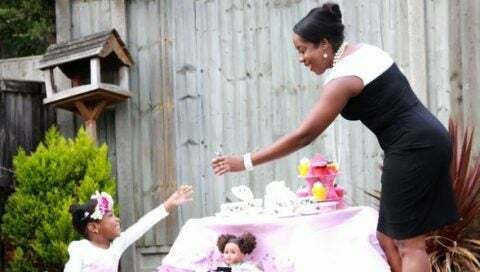 Another mum spurred into entrepreneurialism by her children, Kerry-Ann Graham founded Gabby’s World in response to the lack of ethnically diverse toys in the UK. Graham had found it difficult to source “culturally relevant” toys for her young daughter and was troubled that her daughter wasn’t represented. Graham wanted to start a business that would reinforce the positive self-image of black and ethnic minority children and allow them to accept and embrace their differences from childhood. While it took some time to source affordable and reputable manufacturers and get on top of juggling childcare, with the help of a Start Up Loan, Graham was able to launch Gabby’s World; an online marketplace for BAME dolls and toys. And Graham now has plans underway to extend her business by manufacturing her own line of dolls, including ranges for boys and babies. “Whatever you are pursuing, you must have an innate passion and strongly believe in the concept of the business. This is to ensure that when obstacles do come your way, you will hold steadfast and approach those obstacles with the resolution that failure isn’t an option and just see challenges and closed doors as obstacles that will be overcome. Gabby’s World is just one of thousands of businesses to have received a loan from The Start Up Loans Company; headline sponsor of The Startups Awards 2018. To apply for a Start Up Loan click here or, to enter your business for The Startups Awards, submit your details here.